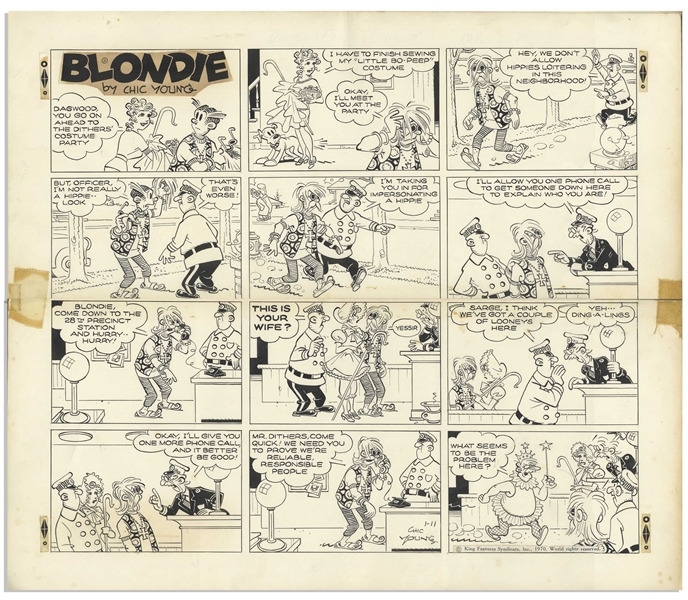 ''Blondie'' Sunday comic strip hand-drawn and signed by Chic Young published on 11 January 1970. In this special 12-panel strip Dagwood, Blondie and Mr. Dithers are dressed for a costume party as a hippie, Little Bo-Beep and a fairy godmother. 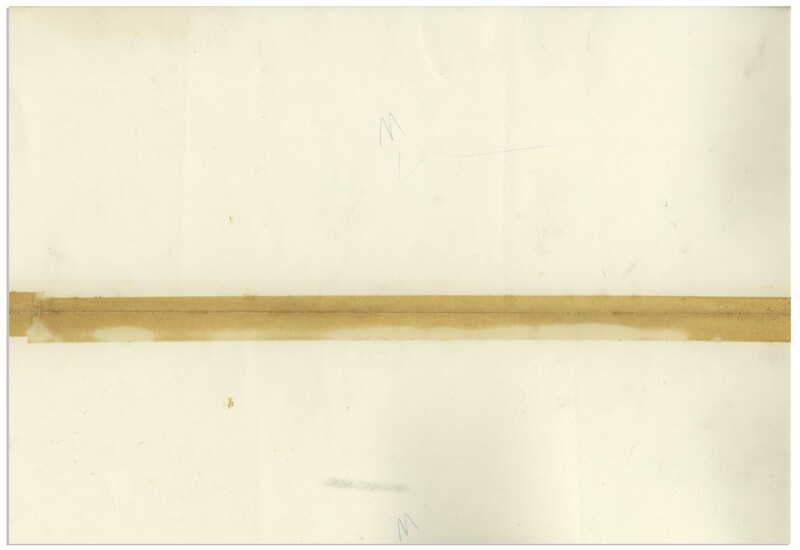 Strip measures 19.5'' x 17'', with tape on verso adjoining the top and bottom halves. Very good plus condition. From the Chic Young estate.